There is no doubt that Uwe Rosler has the Premier League in his sights. Neither he nor Dave Whelan want to stay in the second tier. The question is how to get back there. For all the flak that Owen Coyle took when he left Wigan he left Latics a formidable squad. His personal charisma and the offer of good salaries by Championship standards enticed more than a dozen players to Wigan. Coyle’s critics will say that his big failing in the transfer market was bringing in two 32 year old strikers who were past their sell-by date. However, good strikers are in short supply and their transfer fees up in the clouds. Coyle did what he could and he could not have guessed how ineffective Grant Holt, in particular, would be. There is a strong lobby that wants Whelan dig into his pocket and use the money from the summer sales to sign a top class striker. Somewhere between £13-£15 m is the figure being touted as the funds available. Signing for Latics as a striker has been a kiss of death in recent years. So many have been signed, but never been able to deliver enough goals. Typically they have been left to fend for themselves as lone centre forwards, up against two central defenders. Arouna Kone was an exception and did that well last year, scoring goals in the process. One wonders how he would have fared in this season’s team, if he had not been enticed to Everton. Mauro Boselli was a big money signing by Latics’ standards, but the lone role did not suit him and he was like a fish out of water. Boselli had a torrid time at Wigan – unfairly ridiculed by one fan site – but he has revived his career through a move to Mexico. Since joining Leon he scored 18 goals in 22 appearances in the regular season and helped them beat Club America 5-1 to win the Apertura Championship playoffs with goals like this. Like Boselli, Grant Holt has come in for a lot of criticism at Wigan. Critics would say that a good central striker makes things happen. Realists would say it depends on the service. During Boselli’s early days at Wigan he had Charles N’Zogbia to his right and Hugo Rodallega to his left, both of whom were expected to strike on goal themselves. Holt has not been given any favours either as the service from the wide players this season has been poor. Whelan is unlikely to allow Rosler to splash big money on a striker this month. It is a gamble the club cannot afford to take at this stage. Rosler will look at players with goal scoring records in the lower division and those available on loan. The proceeds from the summer sales will largely go towards providing the new facility at Charnock Richard. Whelan is clearly looking at Latics being back in the Premier League and having an academy that can produce home-grown players. His appointment of Gregor Rioch to spearhead that programme is a real step forward for the club. 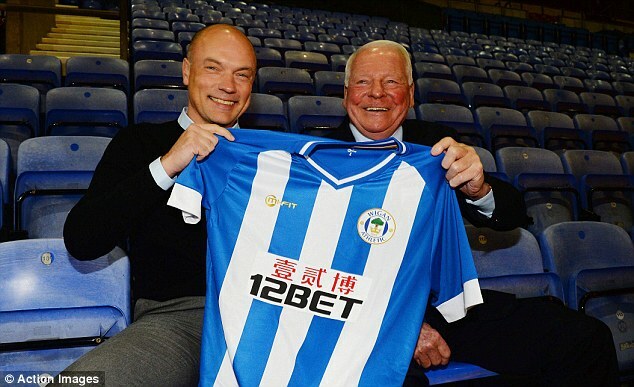 Whelan is looking at the long term future of Wigan Athletic, as a Premier League Club. He will be aware of the risks of Latics’ finest young players being poached by the elite clubs, through the EPPP, if they are not in the top tier. Latics can not only get back into the Premier League, but will be able to see a future there if the academy system takes off. Whelan has already shown himself to be far-sighted in his planning for the club. He will face pressure in terms of investing for the present and for the future. But he will not waiver. Uwe Rosler has already made a great impression. His challenge is to get the right balance in the team. He does not need to spend a huge amount of money to do that. The squad that Coyle left behind is good enough to challenge for promotion, given a couple of key additions. Latics are entering a new era. Financial Fair Play will restrict Whelan’s capacity to pump in funds. The club has to stand on its own two feet. Whelan is right to require the club to be run in a business-like manner, making ends meet. There continues to be long-term planning and the task of getting Latics back into the Premier League is in the hands of one of the brightest and best young managers. Wigan Athletic continue to look forward to to continue to punch above their weight. The future continues to look bright.